Here’s the thing: every week I come across someone in the gym who has this insane body odor that almost tears up my nostrils. ☠️ That kind of body odor and smell of sweat that pretty much threatens to burn up my nose.. 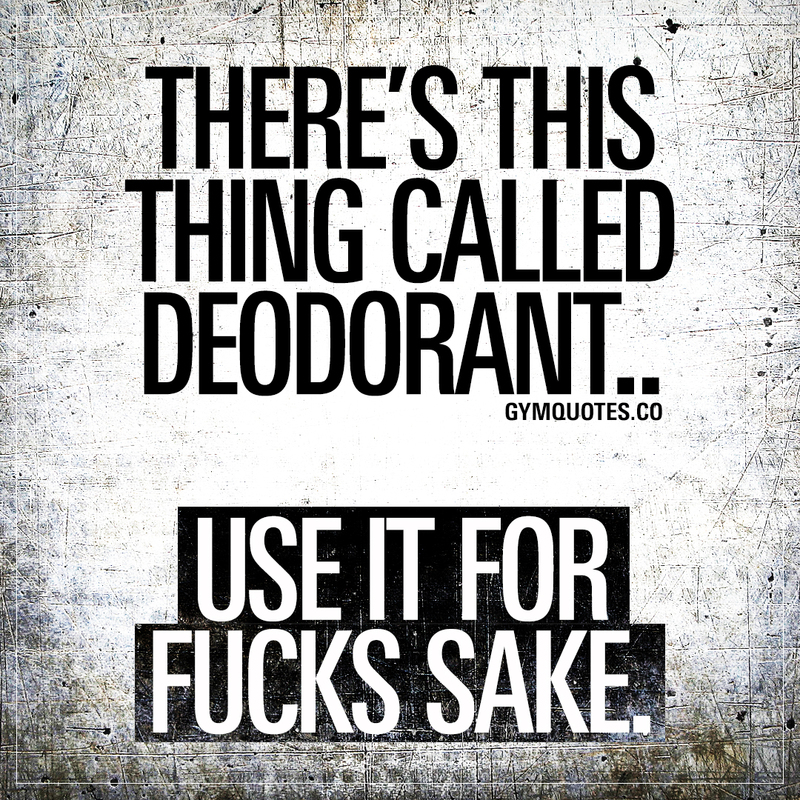 This “There’s this thing called deodorant. Use it for fucks sake” quote (image and text) is copyright © Gym Quotes 2018. All rights reserved.